From Rose Quartz to Citrines, there are so many crystals out there to bring you luck, joy and positive energy. However, although a Tourmaline in your pocket will keep you calm and an Amethyst by your front door will protect your home, you can reap even greater results by pairing different crystals together. Let’s look at some unbeatable crystal combinations to help you in love, your career, and health. Whether you’re jumping into a new relationship head first or you’re proceeding with caution in fear of getting your heart broken, the early stages of a new romance can be both exciting and terrifying. Thankfully, by selecting the right combination of crystals you can equip yourself with the strength and protection needed to thrive. If you’ve met someone special, we recommend combining a Rose Quartz with an amethyst. The rose quartz is known to bring luck to those concerned about matters of the heart, while the Amethyst has a reputation for protecting the wearer both physically and mentally. Wearing a Rose Quartz will make you glow with passion, sparkle and positivity and you’re likely to feel contented, fulfilled and joyful. New relationships can be scary and if you’ve been hurt before, there may be times where internal doubts and worries get the best of you. By keeping an amethyst close to your heart, you’ll be protected with invisible body armour that makes you feel fearless and ready to tackle anything thrown your way. Going for an interview or starting a new job can certainly be nerve-wracking to say the least. It’s completely natural to feel scared or anxious but the good news is you can equip yourself with a strong protective barrier with the help of the right crystals. Aventurine is a highly charged opalescent green crystal that’s known for providing wearers with the mental, emotional and physical powers required to succeed. Even the shyest of people will see their leadership skills improve and confidence grow. Although it’s important to be passionate about your job, for most of us, money is important too. A golden yellow Citrine could be just the crystal you need for a future of wealth and prosperity. You’ll feel focussed, alert and ready to hit the ground running. Whether you’re feeling a little under the weather or you’re battling a long term illness, a Clear Quartz Crystal and an Amethyst could be the perfect pairing for you. Clear Quartz Crystals are famous for their healing properties and magical ability to make you feel better both inside and out. Use this crystal to unlock positive vibrations and surround yourself with healthy energy. Throw an amethyst into the mix and you’ll also benefit from a defensive aura that will follow and protect you everywhere you turn. This amethyst will act like a guardian angel, watching over you and sending you love and support. 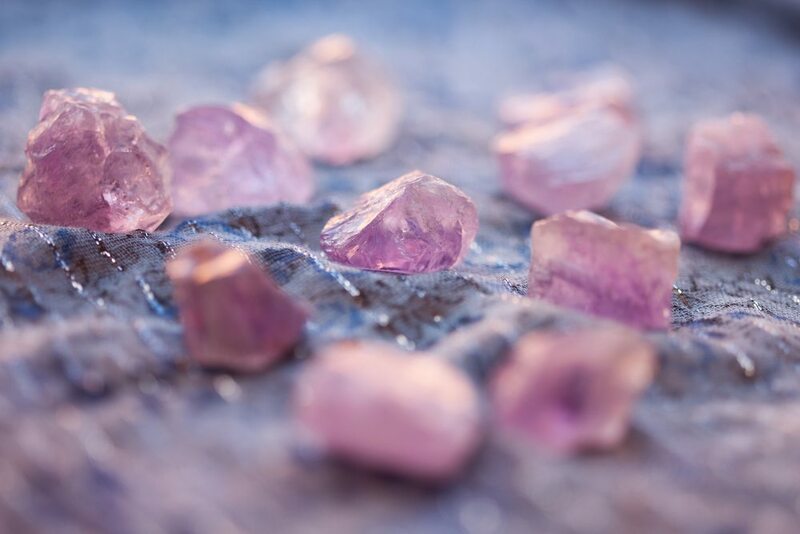 If you’d like to harness the power of the crystals mentioned above, you may be pleased to hear that every client that has a reading by one of our psychic readers can claim a set of 5 crystals free of charge. You’ll receive a Rose Quartz, Aventurine, Citrine, Clear Quartz Crystal and an Amethyst. To request your free crystals, please send a padded self addressed envelope with two first class stamps to cover the return postage costs. Please also include a short note that tells us your name, when you had your reading, and the name of your psychic reader. Don’t forget to let us know whether you enjoyed your reading! Which Star Sign is your Spiritual teacher?